it’s time to think of the 2018 ski season in Austria. But, by the time you may be just about to start thinking of it, some of the Austrian resorts are already open! Here’s a quick rundown of some of the main resorts, when they open, and what they have planned on the opening weekend or, in some cases, as a festival. Obergurgl kicks off the season as one of the first non-glacier resorts to start up. From November 15, 2018, the Skiopening offers music and parties. St Anton has its opening weekend scheduled for the 29.11 – 02.12 this year, with a ski race, Audi driving experience and Anastacia and Mel C featuring as live music acts. Ischgl starts out this season on November 25 with US R&B superstar Jason Derulo for the Top of the Mountain Opening Concert, as always free with a valid ski pass. Moving on we travel over to the province of Salzburg and its own high-level resort. Obertauern kicks off the season on December 01 with a concert by the Viennese indie-pop band Wanda. 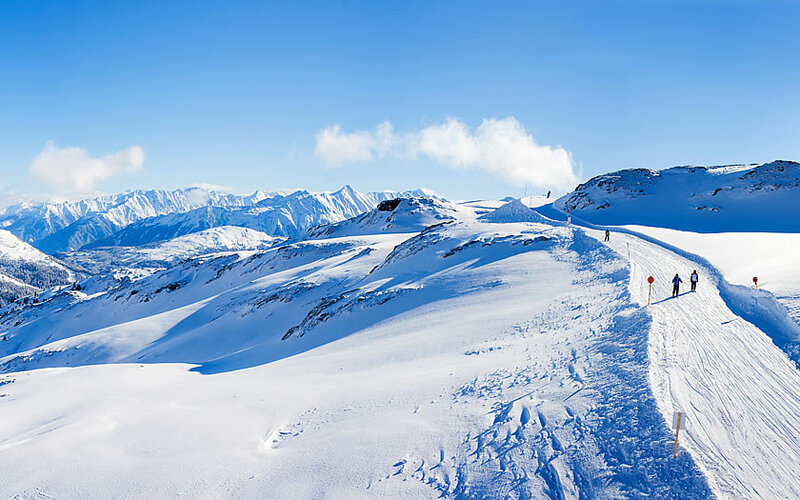 The Zell am See / Kaprun ski area has the advantage of the Kitzsteinhorn glacier and opens in the first week of October, given good snow conditions. The WOW Glacier Love on November 02-04 is the first festival, with DJs and well-known dance and house acts taking part. many others have their own parties, concerts and festivals to set off the season. So if you fancy a few days at the beginning of the season, check out the flights into Innsbruck or Salzburg and enjoy the start of the season with the locals.